Since 1989, DRC has collected more than 150 million cubic yards of debris and established industry benchmarks for debris recycling and collection efficiencies. We’ve executed comprehensive debris operations nationally and internationally, bringing a high level of innovation and professionalism to each and every project. Whether we perform the work ourselves or engage a network of more than 5,000 subcontracting partners, we’re able to be on-site quickly, regardless of the size of the event. Our mission is to provide professional, honest, and immediate response to natural and man-made disasters throughout the world. We mobilize immediately in the face of disaster, engaging our scope of project management services to oversee complete relief efforts. 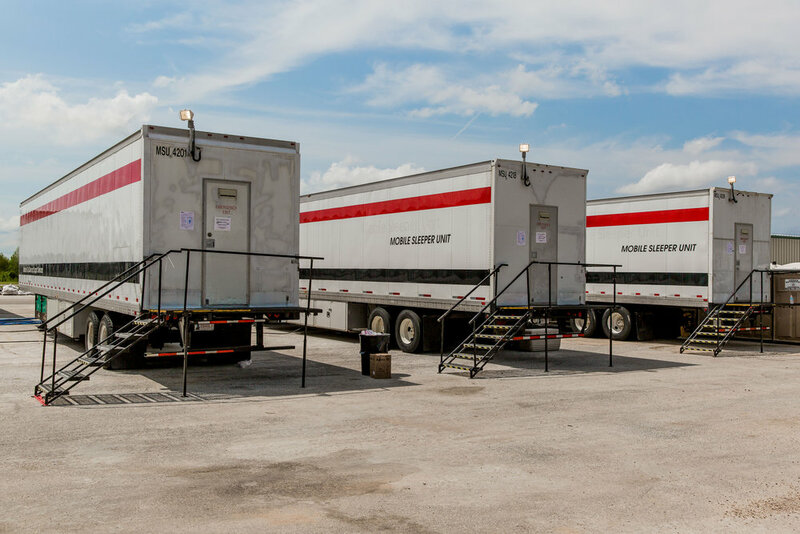 From temporary housing to catering services to physical cleanup, we handle every detail of disaster response and recovery. Understanding the required dynamics of a debris management operation is a hallmark of DRC’s profile. We have extensive experience in the creation and management of Temporary Debris Management Sites (TDMS), and since 2004 we operated over 20 such sites – many simultaneously – in the wake of several major events in the Gulf region. 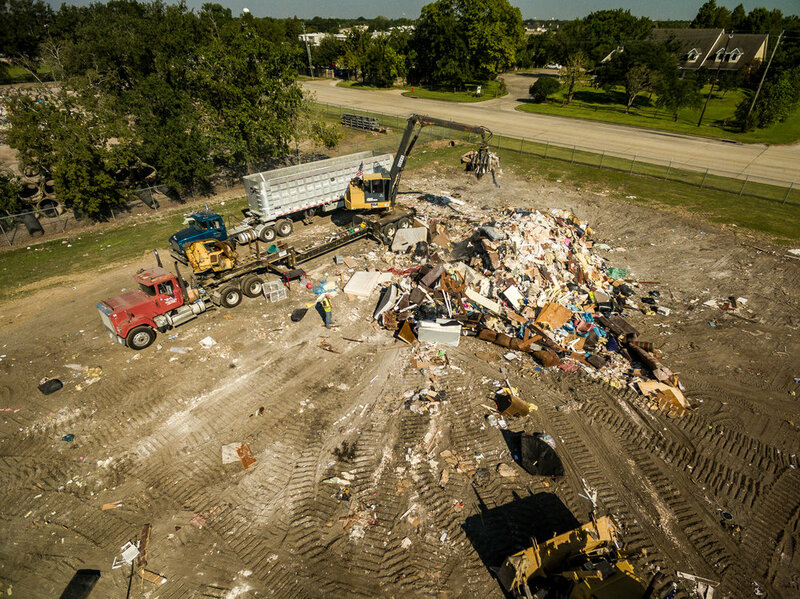 In 2008, following Hurricane Ike, DRC simultaneously operated seven TDMS sites, handling 11 million cubic yards of debris and recycling materials out of the waste stream in two of those facilities. 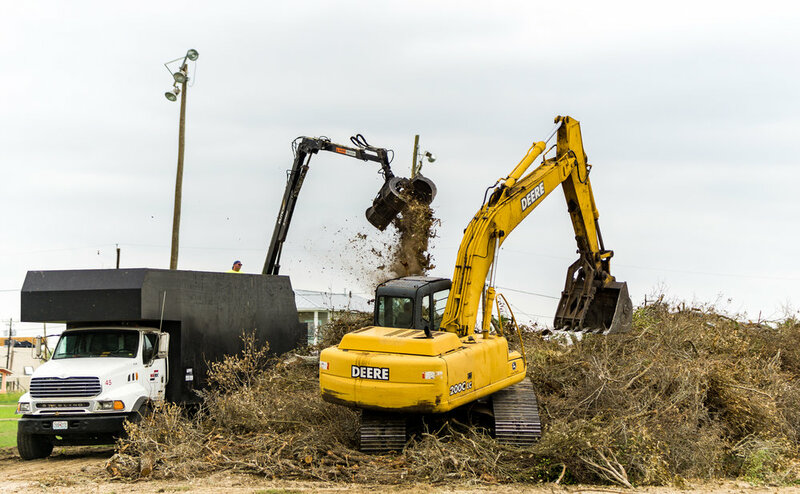 Following the 2016 South Louisiana flood events, two temporary Debris Management Sites (DMS) were opened and operated in East Baton Rouge to compact and recycle C&D debris prior to haul out for final disposal. These sites operated with such efficiency that FEMA and the USACE filmed the operation to use in training sessions. DRC has unsurpassed experience in recovery and removal of marine vessels following disasters. 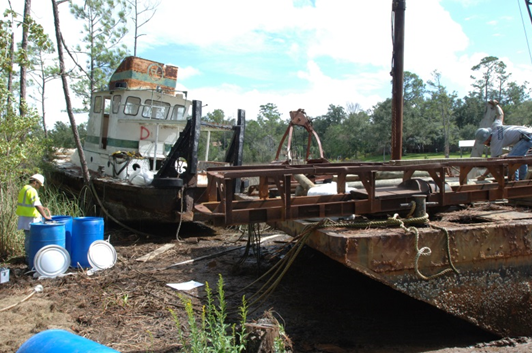 Most notably, we recovered and removed hundreds of vessels for the state of Louisiana after Hurricane Katrina. Our extensive marine services experience also extends to the removal and recycling of massive multi-ton vessels and barges, which we performed in the bays surrounding Galveston after Hurricane Ike. Preparation is the key to success. DRC provides training and planning exercises to help expedite response and recovery efforts during the aftermath of a disaster. Our team is trained, motivated and available to provide tabletop response exercises, joint debris management plan classes, FEMA eligibility workshops and NIMS training. We work with utility companies, municipalities and rail companies to provide routine right-of-way maintenance for post-disaster response. 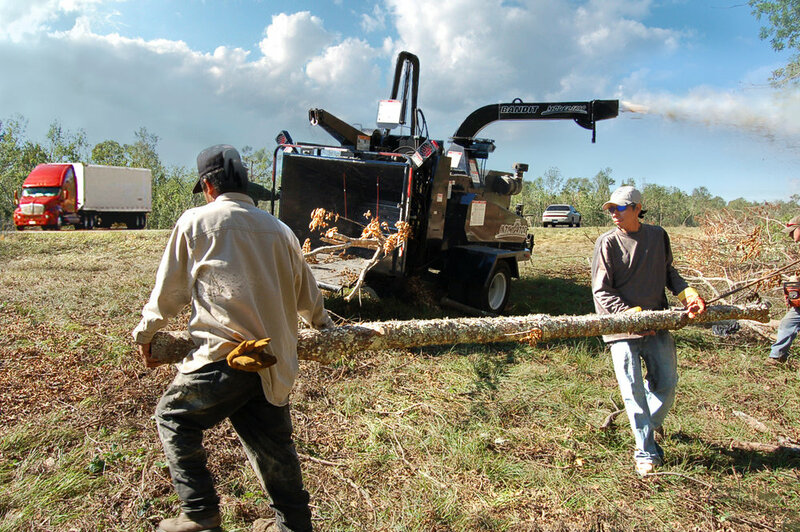 With top-of-the-line equipment and skilled personnel, we provide safe and efficient service to meet all of our client’s needs. From highway traffic control to the use of specialized equipment, we meticulously plan all facets of right-of-way maintenance for proper execution. DRC has been executing full-service temporary housing operations since 1991 in Kuwait. Since then, our temporary housing services have expanded to multiple countries, including Somalia, Albania, Haiti and the U.S. In Haiti, for example, DRC built and operated a 350-person compound in Port-au-Prince to support the U.S. Embassy. The compound was entirely self-sufficient with the ability to produce its own electricity, purify its own water and treat its own sewage. We specialize in emergency housing, temporary shelter, life support and logistical services. 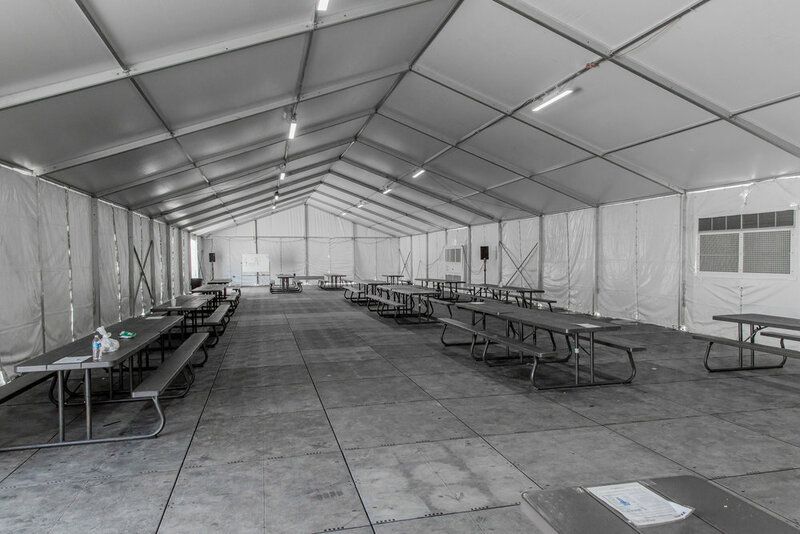 In addition to disaster recovery housing, DRC offers man camp facilities for oil field companies. Our comprehensive services range from lodges and dining facilities, to recreational facilities and grounds maintenance.